Permissions: This information resource of the Maryland State Archives is presented here for fair use in the public domain. When this material is used, in whole or in part, proper citation and credit must be attributed to the Maryland State Archives. PLEASE NOTE: Rights assessment for associated source material is the responsibility of the user. The Crutch was a newspaper printed by the patients at Annapolis Naval School Hospital. 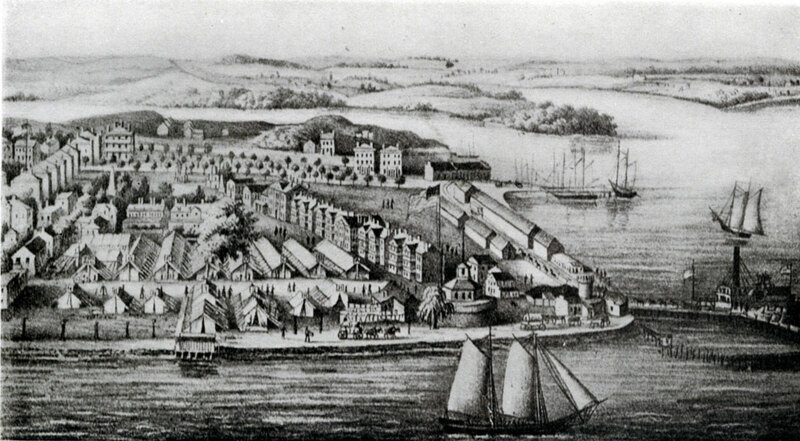 The hospital was erected on the grounds of the Naval Academy, temporarily in the hands of the Union Army after the school had been evacuated to Newport, Rhode Island following the capture of Fort Sumpter. Other interesting tidbits can be learned from reading other issues of the paper, the full paper is online at: aomol.net. - Image No. 112 tries to put a positive spin on the fact that no elaborate 4th of July celebrations took place. "The young Surgeon need not count on the 5th for new cases, since his wealthy patient just from the front, cannot get where he can shatter legs or arms, or injure his digestive powers by eating fruit, and drinking ice-water, or take cold from over-indulgences in fancy linen and white duck!" 1 Smith, Diane M. Chamberlain at Petersburg pg 74. 3 Smith, Diane M. Chamberlain at Petersburg pg 75. 4 Pullen, John J. The Twentieth Maine pg 133.